At Gadget Rehab we can guarantee that you can sell your mobile for the best price* We will give you a cash value in store for your mobile phone, tablet or laptop and wire the fund direct to your bank account with most payouts completed on the same day. Upgrade or Buy a Phone? Its time to upgrade but what do I do? 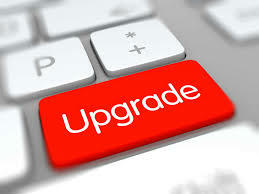 When it is time to upgrade you are presented with several options via your mobile contract provider. These are often the latest devices which will involve you renewing your contract for a further 12, 18 or even 24 months. Once your locked in there is usually no way of getting out unless you are prepared to pay the rest of the contract out or wait to the end of the term. But are these contracts really worth it? Let's take an iPhone 7 for example on a 12 month contract. You can end up paying an upfront cost of £20.00 towards the phone and then a monthly bill of around £80.00 for unlimited minutes and text and 50GB of data. This works out to £980.00 in cost over the contract period providing you do not go over your allowance. So what other options could you have? Taking a SIM only monthly or 12 month contract and keeping your existing phone (if it is still in good working order). Now with this option you would be able to get the same unlimited calls and text but with 60GB for £30.00 per month. This works out to £360.00 for the year. A saving of £620.00. A huge saving not to be sniffed at. That's a nice weekend away, an expensive handbag or pair of shoes, food shopping for a month (in some cases a week) or enough to purchase 2 iPhone 7 approved used devices or a brand new iPhone 7. This brings me on to another option. Let’s say you come to the end of your contract and you fancy a change in handset, perhaps because your current device is faulty or you would like a change. Taking the same option above you could use the savings under the SIM only contract option and purchase an approved used device from GR Phones. We sell approved used iPhone 7 devices from £275.00. With this said you could use your savings of £620.00 to purchase one of our devices and still have change for those fancy shoes or handbag. Furthermore you could also trade in your old device at GR Phones as a credit towards your new phone or just for the extra cash. Push or Not to Push. You Decide! Do you really need a brand new phone or could you be happy with an approved used one? Is your contract worth it, is it good value for money? Are you getting the right amount of data, minutes and text? If you are at the end of your contract or if you have already made the move to SIM only and would like to discuss your options of purchasing an approved used device and/or trading in your old device then please give us a call on 01494 534 008 where a member of our team will be more than happy to discuss your options. When it comes to repairing gadgets. Gadget Rehab loves all things tech. We fix all electronic devices such as mobile phones, laptops, tablets and PCs. Whatever issue your device is having Gadget Rehab will have the best solution for you. © 2009-2018 Gadget Rehab. All rights reserved.